Pasarel - WMF Art Nouveau Silver Plated Figural Triple Fruit Dish, Germany, Circa 1900. 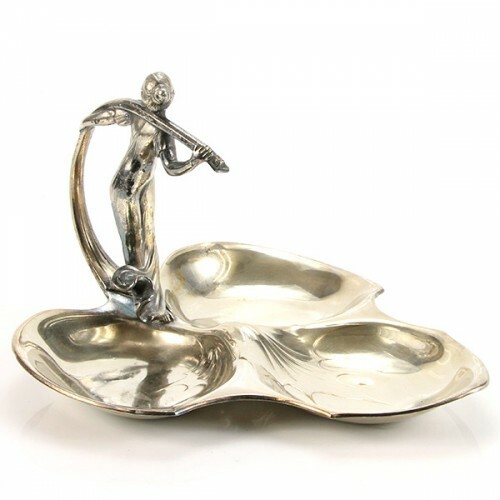 WMF Art Nouveau Silver Plated Figural Triple Fruit Dish, Germany, Circa 1900. 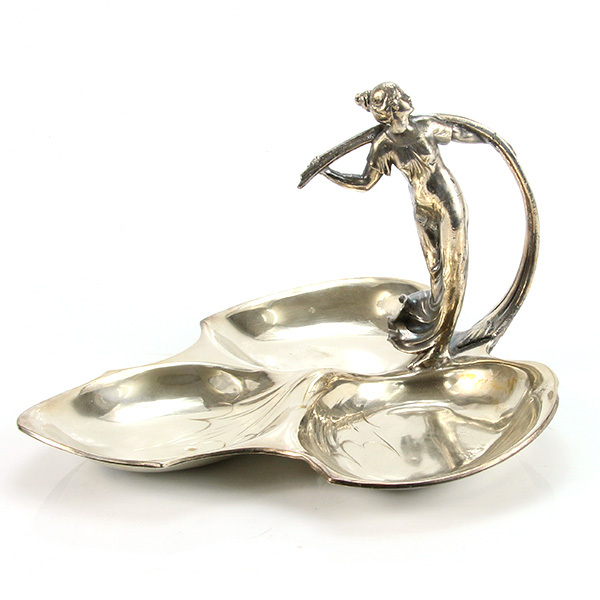 The bowl is modeled as a leaf with a female sculptured figure holding the stalk. 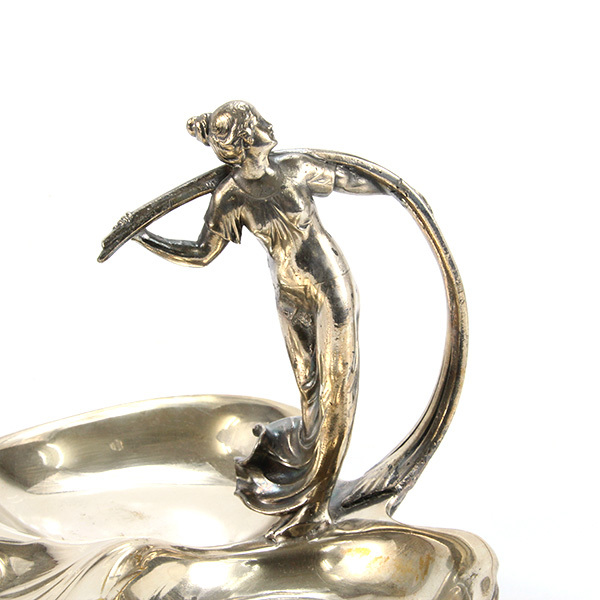 Appears in – Art Novuveau Domestic Metalwork from Wurttembergische Metallwarenfabrik 1906 (WMF company catalog), page 342, item number 103. 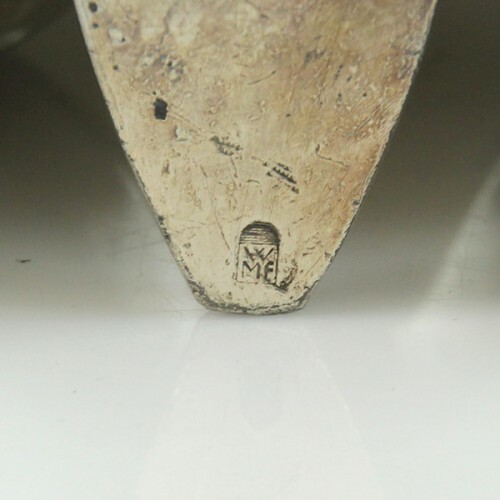 Very good condition, minor loss of plating. Excellent condition., Very good, minor loss of plating.